Please take the time to read the following points; they will help you when making your selection. All timber panels are supplied as standard at 1830mm (6’) wide. We can make these to any width smaller than this as required and there is a text input area when ordering each panel type that will allow special sizes to be entered. There may be an additional charge for this, if so this will be detailed at the order stage. You must add each special sized item to the basket separately and ensure you select the correct height panel from which to specify the custom size. 1.) First add 5 panels to the basket selecting yes where it asks whether the panels are standard size then adding to basket. 2.) Select the same product again, change the quantity to 1, select no for standard size and enter the width measurement in the relevant box remembering to specify the unit of measurement. 3.) Carry out point 2 above for your second made to measure panel. Heights include 600mm (2’), 900mm (3’), 1200mm (4’), 1500mm (5’) and 1800mm (6’), (heights are nominal and may vary slightly according to style). Once again we can manufacture all our panels at heights different to those shown. If you require a height in between the standard heights available on the site please select the next standard height above the size required and enter the required height into the input box on the order screen. – Contoured top panels must be at the standard 1830mm (6’) width. 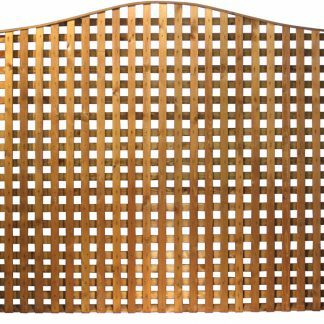 – Arched and scalloped panels less than 900mm (3’) in width may be manufactured with a smaller rise or fall to allow for the tops to be correctly secured. Please take care when ordering arched top panels to ensure you order the correct size, especially when replacing flat top panels. All heights shown represent the measurement to the highest point of the panel with the measurement at the sides being either 100mm (4”) or 150mm (6”) lower depending on panel type. This information will be available from within the individual panel descriptions. 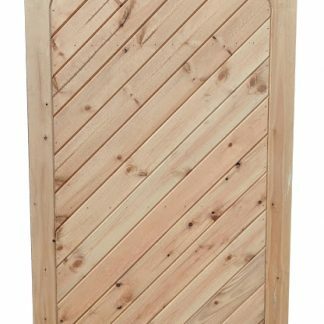 If you require arched, scalloped or contoured top panels that are different than the standard height shown you will be able to specify this when ordering. Simply select the next standard size above that of which you would like to order and enter the details of the size requirements in the text input areas. 1.) Firstly select the panel type and ensure you select the next panel size above the standard size, in this example we would need to select 1830 (6’) x 1800mm (6’) panels. 2.) On the order screen input the quantity required. 3.) Then select whether you would like the panels to be preservative dipped or undipped as required. 4.) Check the no button under the standard sized entry. 5.) Enter your required height in the text input area, stating the unit of measurement and whether the measurement is to the top of the panel or the sides. (I.e. 5’ to sides). You may find it easier to specify the height to the side of the panels here and we will simply add on the arch or deduct the scallop. As the vast majority of gardens are not exact multiples of 6’ it may be necessary to also order a closure panel at a non standard width. This would have to be carried out separately for each non standard width panel, following the steps as detailed previously and entering the required width and also the height (if applicable). If you require any assistance when ordering arched, scalloped or contoured top panels please do not hesitate to ring on 0161 477 0010 and we will be happy to talk you through the order process. 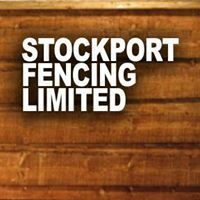 Concrete posts for domestic fencing are required to be a minimum of 525mm (1’9”) longer than the overall height of the fencing you are ordering. Generally when fitting concrete posts a concrete base panel will be used beneath the timber panel to prevent direct ground contact of the timber. The overall height (stated above) takes into account the concrete base panel and the timber fencing panel, e.g. With a 1830mm (6’) overall height fence consisting of a 300mm (1’) base panel and a 1500mm (5’) timber panel the posts are required to be 2350mm (7’9”). If the ground is sloping then it may be necessary to use longer posts and extra base panels as necessary. Concrete posts are supplied with a pyramid top to one end and a bobble top to the other. 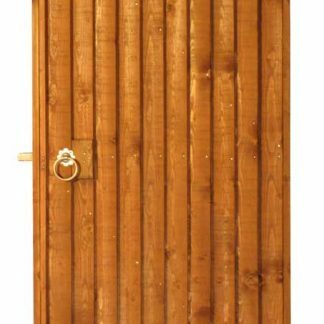 Intermediate posts are completely interchangeable by simply fitting with the required top style at the top. End posts also double ended but due to the way they are manufactured they are not entirely interchangeable. For this reason you have the opportunity to specify whether you require a left hand or right hand end post with either the pyramid or bobble at the top. Imagine you were standing looking directly at the front of the fencing, if the end post is situated to the left hand side then it would be a left hand end post, if situated to the right hand side it is a right hand end post. If you are ordering two end posts and do not specify then we will automatically assume they are opposite ends and supply as such. 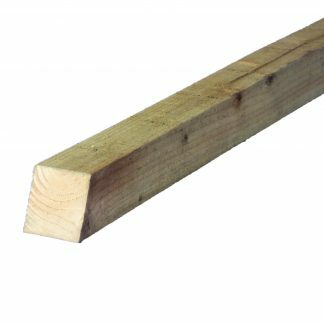 Timber posts are required to be 2’ longer than the overall height of your fencing unless using the post spikes or post supports. If using these we recommend you order the next height above the panel size ordered and cut down to the required height when fitting. If ordering timber fencing posts along with timber fencing panels we will preservative dip your posts to match the colour of the fencing panels (if preservative dipped panels have been selected). 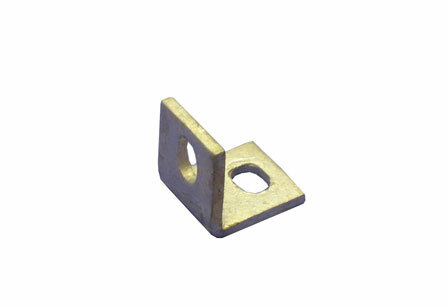 If undipped panels are being supplied then posts will also be supplied undipped to match.